Herman loved Anna. He shared that love with her through a series of sonnets and poems written to her between 1895 and 1916. He entitled the small cloth-bound book, Sonnets for Ambrosia. Herman A. W. Young was my grandfather. He married Anna Nyquist close to the same time he was ordained a Lutheran minister. My father became the caretaker for the book; he stored it with his personal papers. I recently came across the poems and decided to publish them to mark the one hundred-fortiethanniversary of Herman’s birth. As a pastor, Herman became a mission minister who traveled throughout the northwest establishing Lutheran churches; most are still in existence today. In his capacity as a mission minister he traveled a great deal of the time. During their early years of marriage Anna traveled with him. 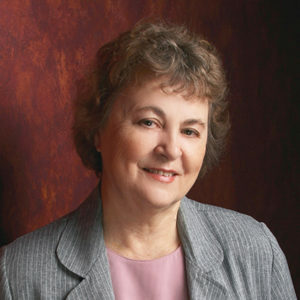 She eventually settled in Seattle to raise their children. When he died at age 46, Anna provided for their children, then age nine to twenty-one by her widow’s pension, her older children’s financial support and by giving piano lessons. Sonnets for Ambrosia is an eighty page, soft cover book. It is available for $11.00 USD, plus shipping or from Third Place Books in Seattle, WA. 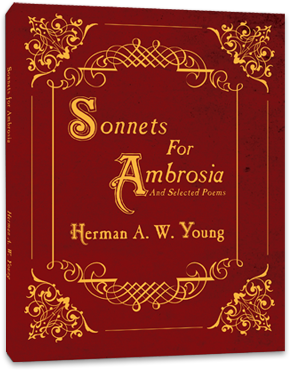 (http://www.thirdplacebooks.com/sonnets-ambrosia-and-selected-poems-herman-w-young). Share his love poems with your loved ones; the messages in the poems are timeless.